The Readington Township Police Department is pleased to offer "SUPPORT" lawn signs for residents to place in their front yard. These signs are on a limited first come-first serve basis. 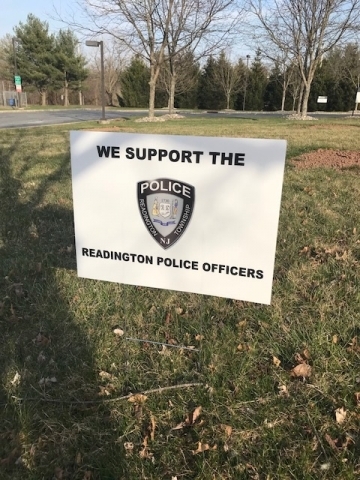 We Support The Readington Police Officers lawn sign is a nice way to show the neighborhood and the officers patrolling that you appreciate their service. You may pick up your sign at the Police Department during normal Municipal Township operating hours.